When an employer violates federal labor laws, Teamsters Local 727 files unfair labor practice charges with the National Labor Relations Board. 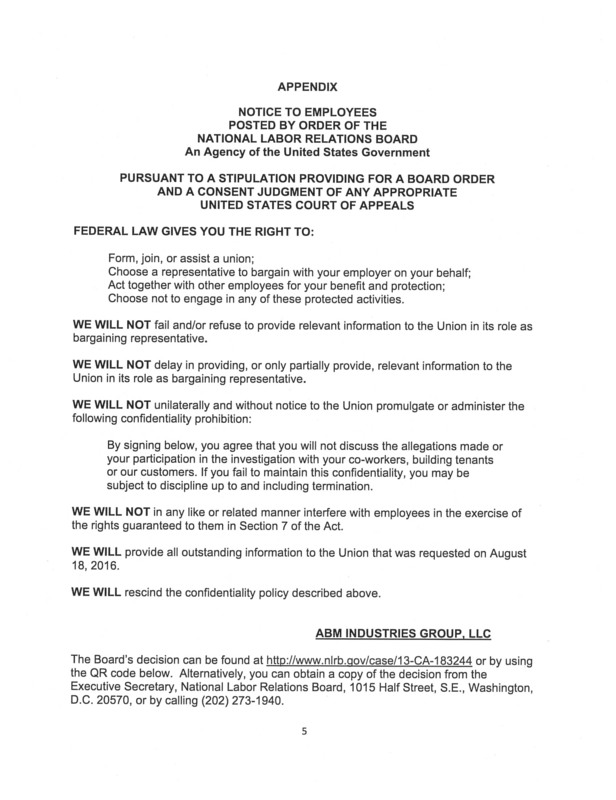 As a result of the union’s efforts in pursuing such charges against unlawful employers, the NLRB often will require employers to post notices to employees and members acknowledging they have violated federal labor laws and promising they will not violate those laws in the future. Below you will find NLRB notices — organized by industry — which Local 727 has secured against unlawful employers since 2010.